I ranted on Def Lep vs. Bon Jovi about a month ago, click here to read it. I’ve gotten a few emails on the post but an interesting point was made by Mr. Me in the Comments section…..I forgot to add Bon Jovi’s 2002 album Bounce into the equation. So how does this effect the final analysis? Post 1992, Def Leppard has released 3 studio albums in 6 years (1996-2002) while Bon Jovi has released 4 studio albums in 10 years (1995-2005). Adding Bounce back into the equation shows Bon Jovi being more consistent in terms of releasing original material. Had the Leps decided to make an album of originals rather than release the covers album, Yeah!, a couple of weeks ago, maybe we would be talking about an even amount of studio output. So the answer might possibly be the actual release of original material, vaulting Bon Jovi past Def Leppard…..or is it? Who’s that guy with those masked men? Could Ace Frehley be ready to come back and fill his role/costume in KISS? Rumors on various KISS message boards and websites have been circulating for months. Speculation is that KISS with Ace will draw more fan interest than the current line-up. Not a knock on current KISS guitarist, Tommy Thayer (ex-Black’n Blue), who has done a phenomenal job replacing/replicating the Ace in concert. Anyone see Peter Criss in that picture? 5. My dream tour: KISS and Judas Priest, who were also honored. Ronnie James Dio is a true Heavy Metal icon, one of the greatest singers of our time. I have seen him live multiple times with his solo band, Dio, and his former band, Black Sabbath. The live show has always been a wonderful celebration of Heavy Metal music, showcasing the best of a long career from Rainbow to Sabbath to Dio. With the concert memories fresh in my mind, I have waited to buy this release for about a month because of availability issues (my local shop got 1 copy). According to the liner notes, the concert took place in London on October 22, 1995…..it was actually 2005 and the culmination of Dio’s worldwide tour for his 2004 album, Master Of The Moon. The actual full performance of the Holy Diver album came after the 3rd song of that night’s set, ‘One Night In The City’. Due to possible editing problems, the album performance was moved to CD 1 and the openers and encores to CD 2. Also, it’s to be noted that Mr. Dio himself has stated in recent interviews that this was a one-time performance, that he will not continue to do a full performance of any of his albums, he would rather try and celebrate his full career during the live shows. I’ve given this a very close listen and it’s a very good live album, well worth your $15. The Holy Diver performance is top notch and the inclusion of Rainbow and Sabbath standards on CD 2 is a bonus. The Dio shows I’ve seen always have Rainbow and Sabbath songs in the set, maybe a medley rather than full songs. Adding them to the live Holy Diver set is just giving a bonus to the fans. Nothing beats ‘Tarot Woman’ or ‘Gates Of Babylon’ live! As of this writing, the accompanying DVD release is out today. I will have that as well but I’m not waiting a month! Went out Tuesday for some new CDs. The local shop had the new Saga album, Trust, on sale, as well as, the new Def Leppard covers album. Passed on both, especially the Def Leppard because of all the versions of it: the regular release, the Target release with 2 bonus tracks, the Best Buy release with 2 different bonus tracks, the Wal-Mart E.P., and the Japanese version with 2 bonus tracks. I could have bought the Target, Best Buy, and Wal-Mart E.P. for under $28 in less than 10 minutes but I decided to boycott the release. I am a Def Leppard fan but I have no interest in a covers album. No decent used CDs either, made my trip quick and easy on the wallet…..
Have I mentioned I’m a video game freak? While I was out, I decided to check out the Xbox 360. I have a Playstation 2 and I’ve been waiting on the PS 3 but, at $600, it proves to be too expensive when it’s released this Fall. Even the Xbox 360 is $400. Not sure what I will buy, I might just stay with PS 2 if Madden 2007 is released for it…..
790 The Score is the local sportstalk station in Rhode Island. I listen to it in the mornings but I’ve had it on non-stop the last few days. I’m not the biggest Baseball guy (NFL Football is my game) and that’s all they’ve had on. Just some background noise…..
After being rejuvenated, I’m ready to Rock and write! This has been making the rounds the last few days and it just bothers me. I have never understood why musicians/bands from the ’70s and ’80s get embarrassed by their previous work. You here it all the time, bands get upset when their previous sound, or image, or mentality is brought up. This same past that made them money, helped them tour the world, and made them famous. Is it the music? The hair? The outfits? Maybe they are embarrassed by their behavior, too many skeletons on the closet from years past? When Holy Diver came out, the guitar work was blazing. Who was this guy Vivian Campbell? Much like Viv is blown away by Mick Ronson, there are fans out there blown away by his work. It’s as if he just tosses it aside, his ’80s output is outcast. IMO, when a guy like Viv puts his previous work down, it’s a slap in the face to the fans who made him what he is today. He should appreciate that people come up to him and talk about the Dio albums. He should appreciate whatever compliments he gets from fans. That goes for all bands, etc. I’m not saying the guy has to live, eat, and breathe Heavy Metal…..if he wants to listen to ’70s glam, so be it. You like what you like. If he wants to focus on recent history/albums, that’s great, let’s hear about the new stuff too. Just don’t be so harsh to something that many of us hold so dear. Metal Sludge has an inside “source” that is confirming a BIG reunion of a popular ’80s band. Read the updates here. So which band is it? When I read the article I immeadiately thought of RATT. They have the most “action” right now: Stephen Pearcy is still very active while his former bandmates aren’t, the VH-1 Behind The Music just aired, and Jizzy Pearl, John Corabi, and Robbie Crane are all focusing on other projects. Are the stars aligned? If so, it’s too little too late. I saw RATT open for the Poison reunion tour in 1999. They were signed to Portrait and released a self-titled album AND they scored the number two slot on what became a major tour (eventually an annual Summer tour). They dissolved again and lost major momentum. IMO, I think they could have scored a few more opening slots for Poison on future tours and made decent cash…..almost every ’80s second-tier band has opened for Poison. I’ll take that as a “NO” to a reunion! It’s interesting to note that the post was pulled from Bravewords the next day, fueling the rumors further. The usual names have been thrown around the Net: Van Halen/Diamond Dave or Sammy Hagar, Guns’n Roses, Journey/Steve Perry, and Rainbow/Joe Lynn Turner. So who is it? Anyone else you’d like to see? Thanks to the my cable company offering a built-in DVR (digital video recorder) with their digital cable box, I was able to record the VH-1 Behind The Music special on RATT. I’ve had the opportunity to watch it a couple of times and I found it to be disappointing. All VH-1 BTMs follow the same formula: rise to success, addiction/money problems, personnel changes, fall from grace, current situation. A career summed up in 60 minutes and the focus is always on the darker side of Rock stardom. I always find myself watching these documentaries, feeling good about the nostalgia, but coming away with disappointment. The story is never about the success, it’s always about the failure. It’s not about the platinum albums, it’s the studio clashes. The excesses of life on the road vs. the actual live gig. Name the dysfunctional problem and VH-1 exploits it rather than highlight a success story. It always seems like these producers put these bands out there, ridicule them, expose them, and basically make light of it all. So the RATT story followed the same pattern and I came away disappointed. Whether you like RATT or not, this band had a lot of success between 1983-1990. In that time, they had 5 platinum (some multi-platinum) albums, worldwide tours, and were plastered all over radio and MTV. They made music, made money, and saw the world. What is most important, at least for me, is that they made music that meant something special to their fans. VH-1 seems to forget this in favor of the fall. RATT did in fact fall, some would say that their downward spiral started with 1985’s Invasion Of Your Privacy, the follow-up to the multi-platinum smash, Out Of The Cellar. Rather than focus on the band as a whole, the documentary focused mainly on vocalist Stephen Pearcy’s personality clashes and the addiction/death of guitarist Robbin Crosby. While these two things were major factors in the RATT demise, there was more they could have focused on: keeping up with the competition, in-studio clashes with producer Beau Hill, the RATT pack on the road. They touched on these but too briefly. I understand that a six hour mini-series on RATT isn’t realistic but an extra half hour of other band moments aside from heroin and Jack Daniels is all I’m askling for. All in all, if you want to review RATT’s heyday, this will do the trick. If you want to really get into RATT, listen to the albums and watch a live bootleg. Back in 1985, I remember the hype for Hurricane centered around the fact that Robert Sarzo (guitars) and Tony Cavazo (bass) had some famous brothers in a band called Quiet Riot. Fortunately for Sarzo and Cavazo, the hype after this E.P. 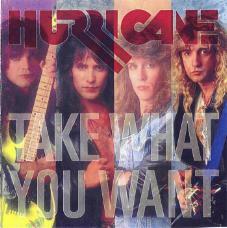 came out was that Hurricane was more talented than Quiet Riot! Highlight of this album is the vocal performance of Kelly Hansen who is, to this day, one of the best Melodic Hard Rock singers in the business. The axework on this album is also top-notch. Sarzo blisters away on all tracks with some great leads and solos. Rhythm section is nice and tight. All the songs here are strong. Very melodic. It was released in 1985 so think of the MTV Hard Rock faves back then and you get the idea, it’s just that Hurricane is a cut above half of them. Fave tracks: Take Me In Your Arms, Take What You Want, and It’s Only Heaven. The whole album is good. The question here is: Is this album worth $150+ at auction? There is a Japanese version with 3 bonus tracks that’s as rare as the U.S. and usually goes for more in collector’s markets. The Summer concert season is starting soon and there are many Rock’n Roll pairings coming to a town near you: Poison/Cinderella, Def Leppard/Journey, Bon Jovi/Nickelback, Tom Petty/Pearl Jam or Tom Petty/Allman Brothers. In the case of Poison/Cinderella and Def Lep/Journey, these are co-headline tours but, technically, one band is the opening act. Have you ever been to a concert where the opening band blew away the headliner? 1. Sammy Hagar vs. David Lee Roth (Sam & Dave Tour 2002, Mansfield MA) – Each band played 100 mins, each band took turns headlining. Sammy played a Van Halen heavy set, bringing out Michael Anthony for half the show AND Gary Cherone dueted on When It’s Love (background vocals provided by local favorite, Boston!). Diamond Dave had no shot after Sammy blew his wad. Dave played all Van Halen songs but his voice was giving him a hard time. I was 3rd row, stage right. Just after his second song, Dave runs to the side of the stage, takes a shot and a puff of something “herbal”. He comes back on stage and his voice is now perfect! 2. UFO vs. Blue Oyster Cult (2004, Hampton Beach Casino, NH) – UFO’s glorius return to New England and they blow B.O.C. away. After 90 mins of UFO, most of they crowd walked out leavung B.O.C. to play a half empty ballroom! 3. Cinderella vs. Bon Jovi (Slippery When Wet Tour 1986, Providence Civic Center) – Cinderella was on their first tour and were hungrier, they went over HUGE in Providence. When the house lights went up after Cinderella, the hall erupted in boos. This I’ll never forget, after 30 mins, the house lights go up and everyone boos! Bon Jovi opens with In And Out Of Love and the boos cascade down. Priceless! 4. Guns’n Roses vs. Aerosmith (Appetite Tour/Permanent Vacation Tour 1988, Mansfield, MA) – Who could compete with a surging Guns’n Roses in 1988? Even the mighty Aerosmith couldn’t keep up and they were excellent that night. 5. Silvertide vs. Fuel (2004, Lupo’s Heartbreak Hotel, Providence, RI) – I took my wife to see Fuel at this old theater, I can’t stand them. So we head to the bar and these teenagers take the stage (they are actually all between 18 – 21). Unimpressed, I go back to my drink. I then hear the most amazing Michael Schenker-ish guitar solo, there’s this young kid with a white Flying V just wailing. 30 mins later, I’m blown away and buying their 2 samplers at the merch booth. Fuel came on stage and the crowd cheered but the energy had been sucked dry after witnessing the Silvertide upstarts playing solos on bar tops, and stomping their way through the crowd. So much energy, with surprising talent for a young band, everyone leaving was talking about Silvertide and not Fuel. Jack Russell’s official website to be re-opened soon! In 2001, Jack Russell put his band, Great White, on hiatus after the comeback album, Can’t Get There From Here (1999, Portrait) met with dismal sales, and an opening slot on the Poison Reunion Tour failed to rejuvenate the band on the touring circuit. Russell decided it was time to do something different, he needed to express a different side of his musical life. The result? His second solo album, For You. One listen to this album and you immeadiately realize this isn’t a Great White album disguised as a solo effort. While Jack’s voice will always be synonymous with the Great White sound, this album is a departure from the trademark Blues-tinged Hard Rock that made him famous. 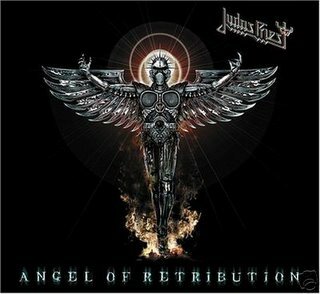 This album is more AOR than Hard Rock, maybe even a bit Pop. 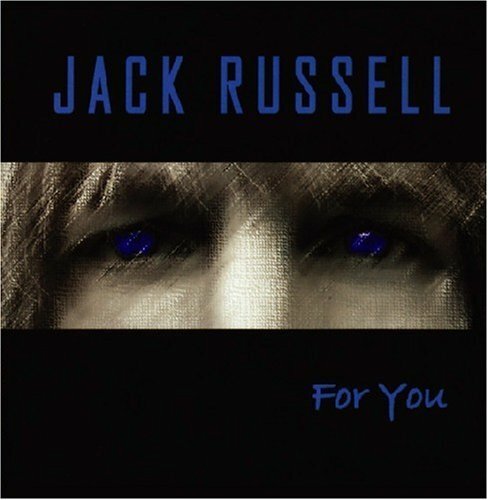 It’s a lighter side of Jack Russell: mostly mid-tempo songs and soft ballads, no real rockers here. The songwriting is introspective and takes a positive look toward the future, no doubt a result of a new found sobriety at the time. Fave tracks on this offering: the upbeat Any Kinda Love and The Best Is Yet To Come (both could have been on Great White’s 1994 album, Sail Away) and the ballads No Time Left and My Everything. This album has been reissued in 2006 by Sidewinder Music (the label behind all those VH-1 Stripped albums) and you can read a current interview with Jack at Classic Rock Revisited. life is metal! he’s just waiting for everyone else to catch on. it doesn’t matter how ordinary the day or how innocuous the setting – if you suddenly hear the loud throb of heavy metal music.. look out. here comes heavy metal guy! with guitars blasting, fireworks and flames, our hero explodes onto the scene. heavy metal guy – he’s living the life of a rock star every day. They call me the “heavy metal guy” at my job but I can’t sing like Robbie Von Blitzkrieg! 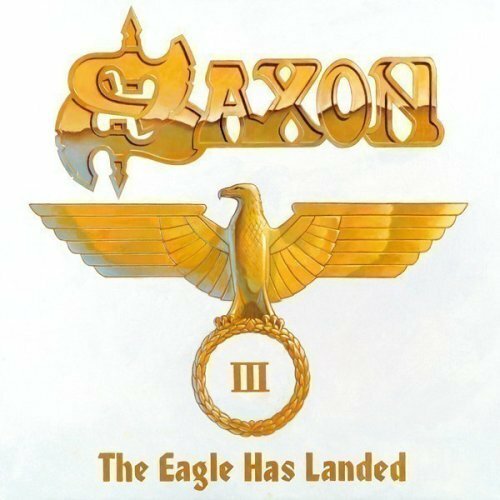 We finally get more info on the new Saxon release! The album is due around June 6-8, 2006 depending on which website you go to. The artwork is simple and to the point, very regal. This is going to be one hell of a live album!